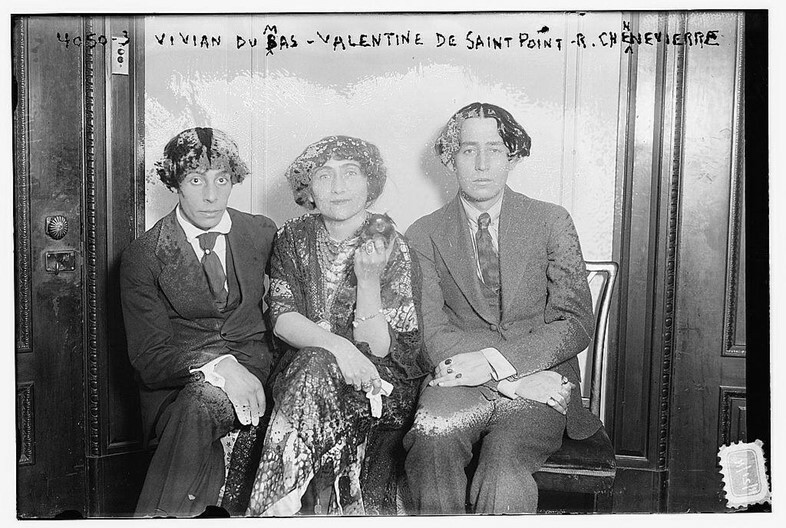 Rodin’s muse, the experimental dancer, writer, painter and critic Valentine de Saint-Point was a busy woman, contributing to many salons of the Belle Époque before turning to Italy in 1912. It was during this period that she produced her best known and most provocative works with the female Futurists; by 1913 she had abandoned poetry and painting, and instead developed what she called ‘metadance’ to “imitate the structural elements of cinema”. In this strange new genre, repetitive rhythmic movements served to reaffirm space, working towards “the plastic expression of ideas”. A dedicated multi-disciplinarian, in time Saint-Point would cast dance aside too (this time in favour of politics), but throughout her life she continued to seek the fusion of many different arts. Saint-Point relished the opportunity to don extravagant costumes: long split skirts and high-necked bodices made with heavy beaded finishes; helmets with tall feathers that curled up from the tip of her forehead towards the sky. Beads often encircled her neck, waist and hips both on and off the stage, while her arms and fingers were weighed down with bangles and rings of precious stones. While performing, she often used veils and masks to conceal her face, ensuring that her body was her principal means of self expression. Vivian du Mas designed many of Saint-Point’s costumes, working with specific influences for each scheme: these varied from Greek models with simple flowing drapes in vibrant colours, to richly textured oriental clothing embellished with bells. As if these opulent visual stimuli were not enough, Saint-Point also liked to diffuse scents around her audiences, which she paired with elaborately choreographed light shows, and specially commissioned music from the likes of Debussy. Hers were not performances to be forgotten in a hurry. 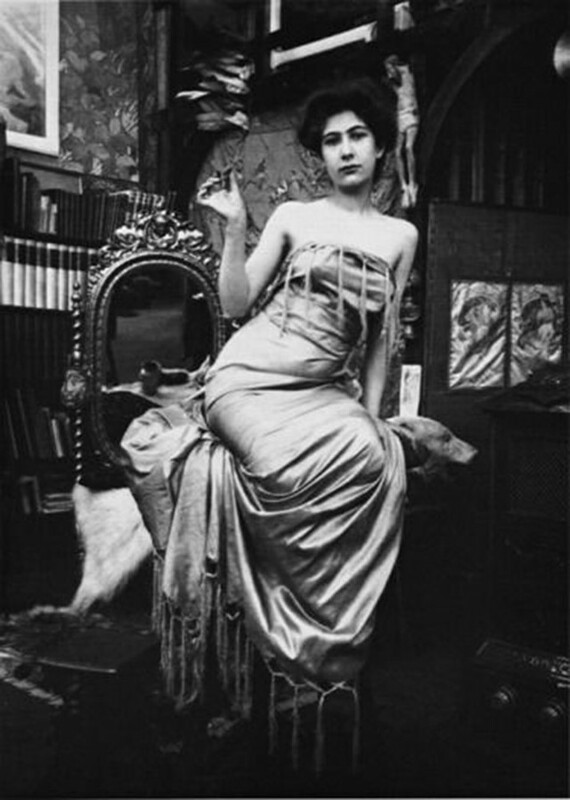 “We must make lust into a work of art,” Saint-Point declared in her 1913 text Futurist Manifesto of Lust – the second of its kind that she wrote. It is perhaps her best known legacy today: “Lust is a virtue that urges one on, a hearth at which one revives one’s strength,” she writes. Indeed, for Saint-Point, lust was the passionate urge that kept humanity alive. Her feminist ideology revolved around the emancipation of female eroticism; her writings caused a stir throughout Europe and were widely translated, placing women at the centre of debates of the Futurist movement. Its predecessor, 1912’s Manifesto of the Futurist Woman, was the first of the Futurist manifestos to be written by a woman, and a fierce rebuttal of the original, written by Filippo Tommaso Marinetti, who expressed an unfettered scorn for women. In time, her critique forced Marinetti to reexamine his original language, explaining in a later interview he wished simply to dismiss the myth of the female muse and sentimental women. It comes as little surprise, then, that when outlining Futurism’s hierarchy in 1914, Marinetti would name Saint-Point ‘Director of Female Action’ – a title she spurned later that year, declaring: “I am not a Futurist, and I've never been, I do not belong to any school”. Later in life she was prolific in her work as an activist and humanitarian. After the death of her lover she left France for Egypt in 1924, protesting against war and colonialism in Cairo. 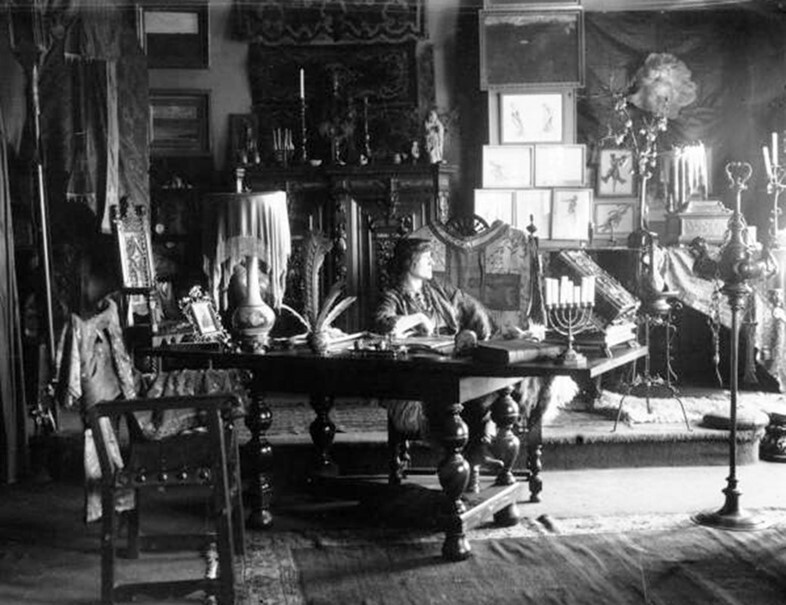 A year later, she had established a review named Le Phoenix which sought to consolidate Christian and Islamic beliefs through art and culture. She was forced to stop production in 1927 due to pressure from French and British intelligence services, but, determined not to be silenced, she went on to publish several books instead. One of which, The Truth about Syria (1929), accurately predicts the current turmoil of modern Palestine and Lebanon. “It is absurd to divide humanity into men and women. It is composed only of femininity and masculinity,” Saint-Point declared. “Every superman, every hero, no matter how epic, how much of a genius, or how powerful, is the prodigious expression of a race and an epoch only because he is composed at once of feminine and masculine elements… That is, a complete being.” Her stance foreshadows modern preoccupations in a world where the rules of gender are continually being rewritten. 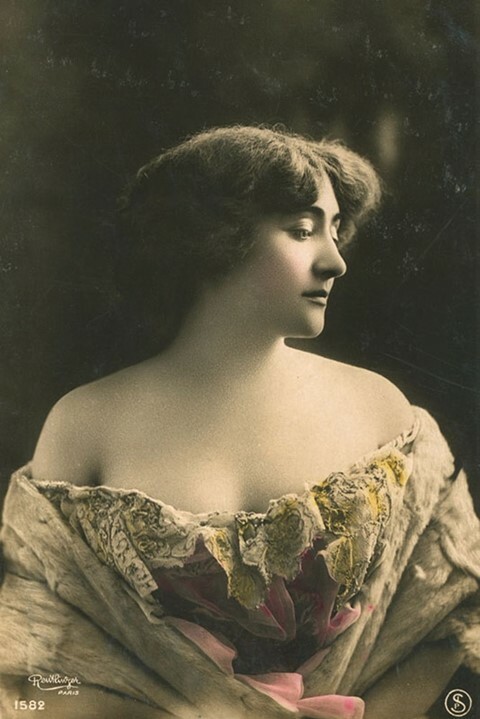 Valentine saw women as complex human beings who deserved more space. Although she could be blunt and cruel at times – “Enough of those women, the octopuses of the hearth, whose tentacles exhaust men’s blood and make children anemic!” – she ultimately championed women of all kinds, daring her female companions to be brave in a world which often told them to settle. “Women are Furies, Amazons, Semiramis, Joans of Arc, Jeanne Hachettes, Judith and Charlotte Cordays, Cleopatras, and Messalinas,” she wrote. Saint-Point believed not only in the strength of women but in their power as a collective, a conviction that resonates till this day. Fight and Light: The Women Futurists. 1912-1944 runs until June 10, 2018 at MAN, Museo d’Arte Provincia di Nuoro.